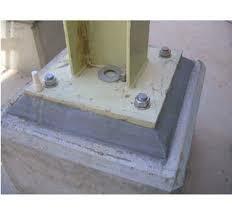 Cementitious repair products provide an economical and reliable method of repairing and protecting concrete. Toppings from 5 to 70mm can be laid to recover both horizontal and vertical surfaces. Construction Grout - Penaflow Panel Grout - Just add water and mix. Low cost general purpose class A grout, suitable for static work, columns, underpinning etc. Five Star Highway Patch is a one component, high early strength, permanent cementitious material ideal for horizontal repairs and overlays for concrete in traffic areas where time is limited. .
Five Star Highway Patch MSDS. Cementitious repair products provide an economical and reliable method of repairing and protecting concrete. Toppings from 1 to 50mm can be laid to recover damaged surfaces both horizontal and vertical. Penapatch Fairing Coat Mortar: is used where a thin topping is required on vertical or horizontal surfaces to repair surface defects of damaged concrete. Often used for refacing concrete panels and aesthetic structures. Penapatch Structural HB80 is a high strength; high build shrinkage compensated structural repair mortar. Penapatch Structural HB80 is designed to be used for vertical or horizontal applications. Penapatch Structural HB80 has high, ultimate compressive strength and high abrasion resistance. Fastset C is an acrylic modified mortar for repairs to horizontal concrete surfaces and floor toppings requiring renovation with a high strength and abrasion resistant mortar. Supplied in 20kg bags. Use with RendergripA primer. High Build Repair Mortar is formulated with fine, lightweight fillers to facilitate thick, unsupported, vertical and overhead repairs by trowel or spray. (Undersides of wharves, bridges and balconies). May be applied up to 70mm thick. Supplied in 18kg bags. Use with Rendergrip B primer. Structural Repair Mortar is designed for the high strength repairs to horizontal or vertical surfaces where structural integrity must be restored.